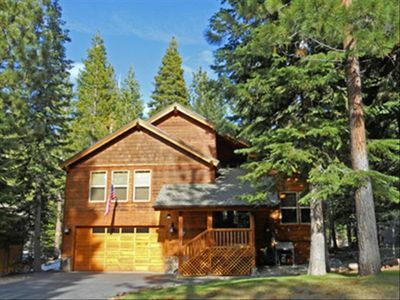 Tahoe Donner Retreat w HOT TUB; Family Friendly-4 bed/2 bath on a quiet street. 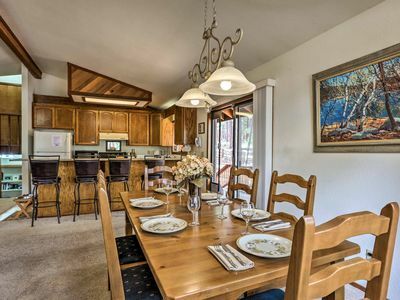 Picture yourself on the large deck looking out onto the pine trees while you BBQ with your friends and family. 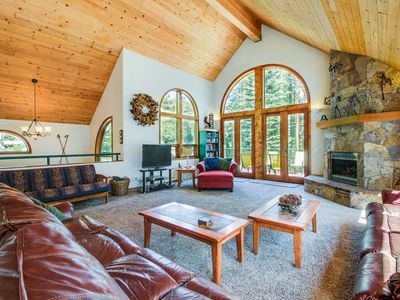 Enjoy the great room with large picturesque windows while watching the snowfall gently on the pine trees. 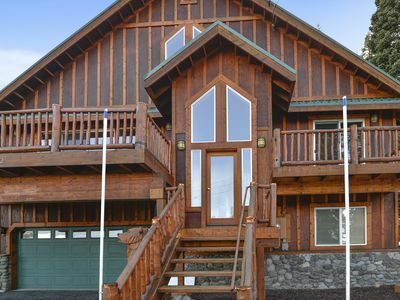 There is plenty of room for the whole family to enjoy the mountains with four bedrooms and a loft/game room. Compete in a friendly foosball or air hockey competition while enjoying a game or movie on the big screen tv. 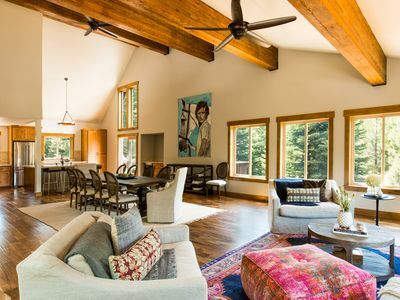 The living space is bright and roomy, with towering ceilings and large windows that frame the trees. Planning a quiet night in? 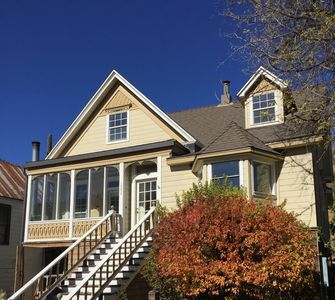 You'll have WIFI, a wood burning stove, complete with wood, a large hearth with seating around, a sofa which pulls out to a queen sized sleeper; a flat screen tv; which also includes cable, a DVD player, Netflix and Hulu; and a selection of adult and kid games to keep you entertained. 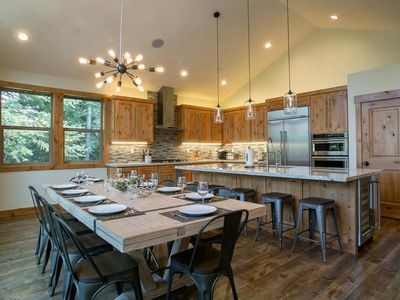 The fully equipped kitchen is the perfect place to cook for a crowd. In the mornings enjoy coffee or tea with a Kuerig coffee machine, or drip coffee maker (your choice). 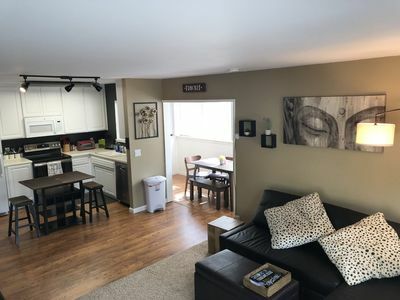 Feel right at home as you're preparing your meals with all the comforts of home, including pots and pans, most spices you may need and a dishwasher. 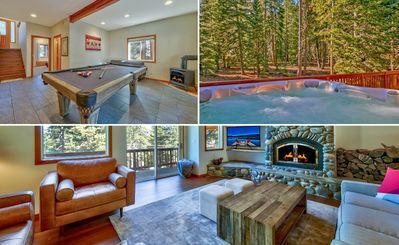 As part of your rental, you will have guest passes that will allow you access to Tahoe Donner facilities including pools, children's play center, tennis, snow play area, beach access at nearby Donner Lake, fitness center, and an extensive system of hiking trails. 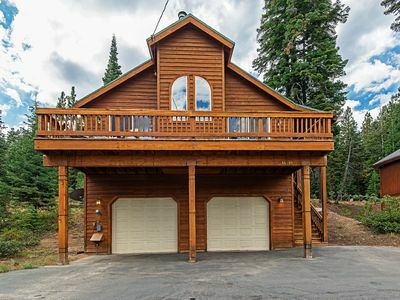 When you're not enjoying the myriad of activities Tahoe Donner has to offer, you'll also have use of the private deck with patio chairs, a Weber Gas 4 Burner Grill, a patio table and a private hot tub. Weather permitting, you'll also have access to the comfortable fire pit, along with chairs to warm up on a beautiful evening to roast marshmallows and share stories from the days events. Seasonal games include; Ladderball, Corn Hole and Ring Toss. 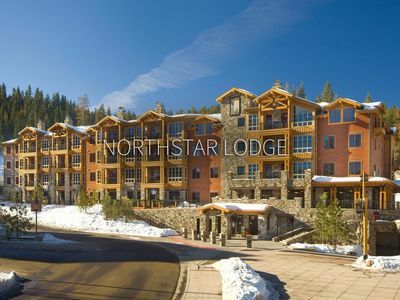 Ski options abound within 15 miles such as Boreal, Sugar Bowl, Soda Springs, Northstar and Squaw Valley. 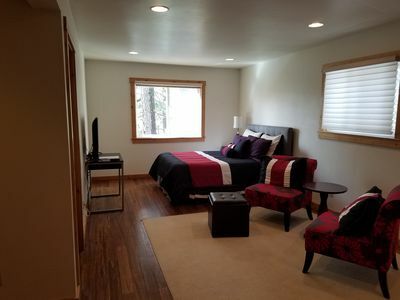 In the warmer months, visit North Shore; including Tahoe City, Kings Beach, and Incline Village about 20 miles away and worth the drive if you have kids. 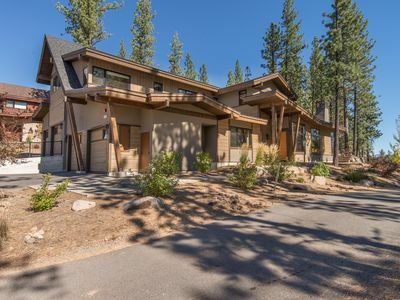 Closer is the main hub of Truckee with modern cafes, shopping and rustic historical sites. 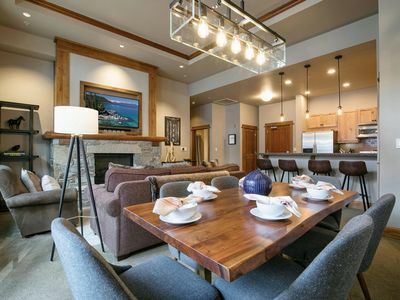 Additional amenities include, a private washer and dryer, high chair, Snow Shoes, Sleds, Saucers, Paddle Boards. and Kayaks. 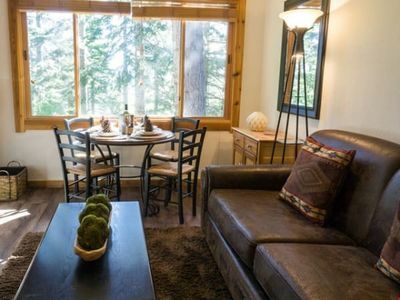 Visit Lake Tahoe and have fun at your finger tips when you stay at this Tahoe Donner Mountain Retreat. 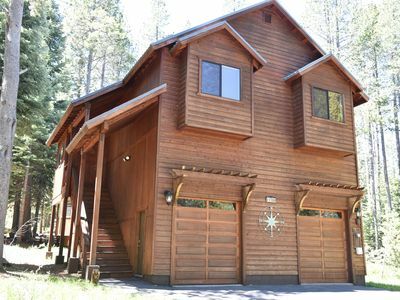 Serene Truckee House in Woods w/ Great Deck! 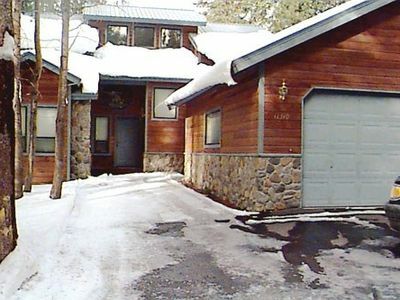 5 BR Luxury family Lodge with hot tub, garden, great family room, all amenities! 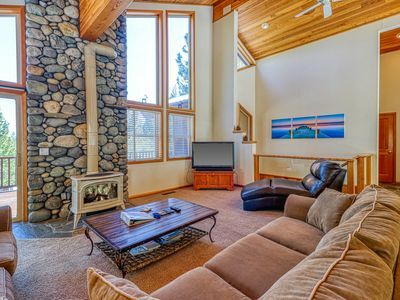 Beautiful Tahoe Donner Mountain Getaway - Family Friendly! 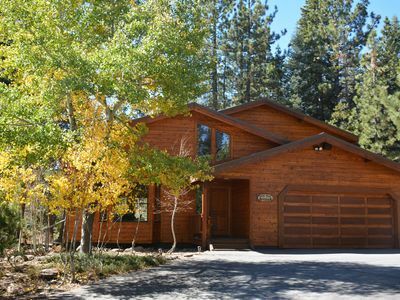 Come enjoy the beauty and fun of Tahoe! Hansel Haus! 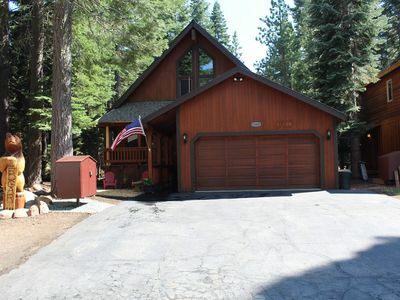 Quaint and comfy Tahoe Donner home, pet friendly!